Art Back into Architecture: March Edition | Kevin Returns from Mexico! It’s starting to feel a lot like springtime at SK2! To celebrate, the team decided to enjoy the nice weather with a cocktail and sketch at Next Door outside of Union Station. The afternoon was buzzing with activity. Bruys captured a group of people taking in the sunny day in coats and jackets. Geneva also recorded the likeness of a roller skater taking a rest from grooving down the street. Geneva and Kevin enjoyed Next Door’s delicious and colorful Orange Old Fashions which deserved a splash of colored pencil. Both Kevin and G also wanted to show the architectural detail of Union Station, from the flower motifs in the pink lavastone walls to the cast iron lion brackets holding up the building’s overhang. Kevin returned from a 2 week vacation at his vacation home in Mexico. He spent his time drinking Margaritas, eating fresh snapper, breathing in the fresh air, and catching up with old friends. These water color paintings detail some of his favorite vistas. Winter has many drawbacks — hazardous icicles, black ice, heavy winds, slow morning traffic, runny noses, hat hair — the list goes on. At SK2, our team makes the most of the season. Here are some highlights of great outings our team members have taken this winter. Our intern Kasey, took a trip to Lake Louise in Alberta, Canada with her boyfriend to go skiing and ice skate in the great outdoors. Mike, our resident mountain man, enjoyed skiing and launching himself face first into fresh powder in Winter Park, CO.
Amanda and a friend from out of town drove up to Steamboat Springs, CO to check out Strawberry Hot Springs have a nice swim in some lithium filled pools. Kevin made his way out to Silverthorne, CO for business, but what a view for a business trip, am I right? Sarah and Bruys went snowshoeing through Silverdollar Lake Trail in Georgetown, CO, stopping to admire the beautiful trees. Sarah and Bruys’ cat Cheery, however, although she hasn’t been on any big local trips, has been keeping warm on a heated blanket all winter. 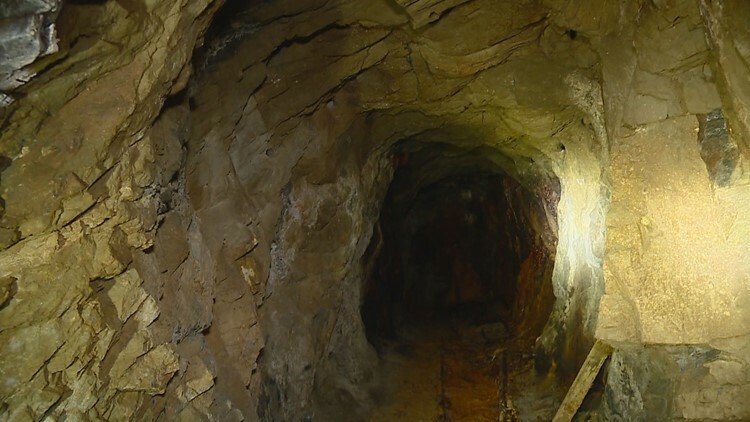 SK2 has been hard at work on Idaho Spring’s Stanley Mine! The parks first opening feature and attraction will be the the alpine coaster! For the coaster, the team has designed a building to house storage for the coaster carts, a gift shop, workshop, and restrooms to support the day to day operations of this amazing ride. Construction is anticipated to begin in March and installation should potentially begin in the following months. Other features of the park include a children’s play space designed by local artists. A blacksmith’s shop with demonstrations space, additional retail. Rides including a 700′ mine drop and a zip line are also on the horizon. 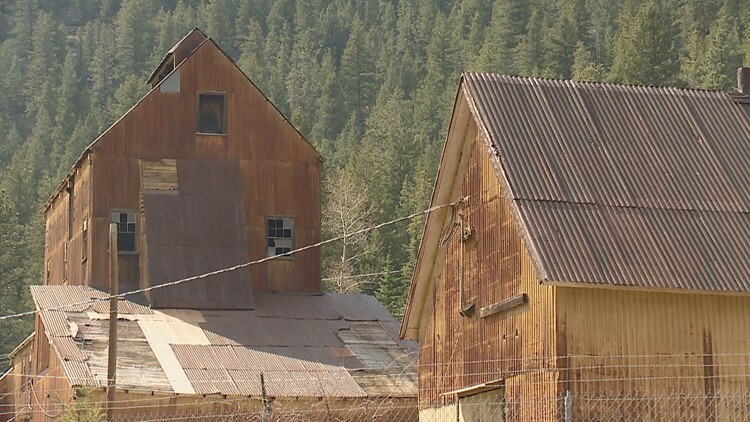 A large part of the resurrection of this old mining site will be seen in the site’s hoist building, a 130 year old structure that has been abandoned since the 1980s. This building will feature a double level of restaurant space as well as a beer garden. Within the next year, we will be seeing this dream turned into a reality! On October 18th, SK2 contributed for the third year to Denver’s annual Warm-A-Heart showcase . This year, Warm-a-Heart choose to support Denver Health Family Crisis Center, a non-profit providing care for children escaping child abuse and neglect. As part of their cause, they reached out to local designers to decorate and fill tote bags with useful and comforting items for these children. As an office, members of our team prepared a bag with items to create enjoyment and comfort. It was filled with a blanket, toiletries, warm socks, candy, and a journal. The office’s beloved and now former designer, Stephanie, and newest designers Kasey and Amanda painted the bag with the Denver skyline and fall leaves. At the event itself, Kevin, Bruce, and I had a chance to enjoy all of the creative submissions as well as free tacos and cookies. Over 200 bags were contributed this year to help the cause. SK2’s next featured artist is Bruys Henderson, one of the most hardworking Project Managers around. Bruys has been sketching since he was a kid. He credits his love for drawing as to what led him to his career in architecture. Bruys took classes at the community college and continued that through university/architecture school. When the housing market crashed in 2008, Bruys started drawing on the side. During that time, Bruys teamed up with an architect in which he would sketch the architect’s concepts as a quick method of selling ideas to clients. He found that his quick sketches were an important tool professionally, giving him the ability to develop his architecture projects more proficiently. Bruys continues this method in his work today. After seeing the play Hamilton, Bruys was inspired to create his next set of study sketches. In this series he looked at the work of Robert Mills, focusing on the Treasury Building in DC with the statue of Hamilton in front. Following that he sketched Pasadena City Hall. If you ever have the pleasure of having Bruys work on your project, you might see his hand sketching talent bring your project to life. *After his study on the Centennial Monument, Bruys’s research lead him down a rabbit hole of flag study. Bruys learned that the eagle on the monument was the same eagle on the state flag, turns out the monument was a reference to the flag…or something like that. Welcome back from our blogging hiatuses! To kick off our return to Art Back into Architecture series we will take a look at some of our featured artist’s work of choice. Feature artist Kevin Koernig, principal of Studio K2, has been painting on and off for 30 years. In the past 5 years, he has been in numerous shows. Kevin got into painting to show a softer, artistic side to contrast the “expected” technical side of architecture. This collection of work was inspired (and painted during) his recent trip to Mexico, where he spent his time sitting on the beach and painting the landscape in Manzanillo. If you like any of the paintings posted or would like your very own K2 original, please feel free to contact Kevin here at the office for more information. Upstairs Circus Austin is Open! Hey Austin, are you feeling crafty and thirsty?! Now you can satisfy both by going to Upstairs Circus, a bar where you can create a masterpiece while having drinks with your friends! Originated right here in Denver, one of their newest locations just opened in Austin! Studio K2 has been a part of their growing family from the beginning. So while you are there be sure to check out the architecture! It’s not commonly known, but we do so much more than “putting blueprints in the computer.” (Common K2 Phrases) One of our more recent endeavors was to update the Furniture, Fixtures & Equipment for the multipurpose rooms of a senior living facility’s clubhouse. Along with design, Studio K2 did the install. That is, we took care of the stressful ordering, collecting, and installing of the upgrading process and gave the clubhouse a fresh designer’s touch. The goal of the aesthetic upgrade was to create a cozy, welcoming, “Colorado Casual” feel while giving the space a more modern look. The rooms were transformed using monochromatic, geometric linear patterns with light colors and accents of floral arrangements filled with bright colors and contrasting shapes. So if you are ever in the need of an aesthetic refresh, just give us a call! Right before the Thanksgiving Holiday break, we went down the street to a local “Must-Do” in Denver, the Museum of Contemporary Art. After walking around the museum, the interactive exhibit “The Bubble Garden” became the focal point of some sketches, while others went straight to the roof to sketch the skyline.